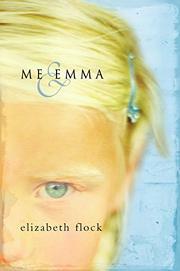 A credible and appealing eight-year-old narrates the story of her family’s hardscrabble life. Carrie Parker lives in Toast, North Carolina, with her mother, her abusive stepfather, Richard, and her younger sister, Emma. Carrie’s narrative has a clear-eyed, unsentimental tone: “The first time Richard hit me I saw stars in front of my eyes just like they do in cartoons.” She learns to stay away from home and to stay out of the way after Richard has been drinking. She and Emma even have his temper calibrated. After his tenth beer he tends to explode, so after the eighth, the two sisters begin a slow retreat to the only safe place in the house, a spot they call “behind-the-couch.” Their mother puts up with Richard’s beatings—she needs the economic support—and urges the girls to behave. When Richard orders Carrie into his bedroom, Emma takes her place, pushing Carrie out and shutting the door. Afterward, Carrie thinks Emma has taken the whipping meant for her, but it’s clear to the adult reader that Emma has been sexually abused. Despite the brutality of her family life, Carrie finds enjoyment in the woods, in her friends and teachers, and in memories of her dead father, who doted on her. Gradual moves down the economic scale—to another town, another job, another rundown shack—put even more pressure on the family. In desperation, Carrie writes a letter inviting her grandmother to visit. But even that fails. When it seems no one is willing to protect these children, an elderly neighbor takes an interest in Carrie. He notes the cuts and bruises inflicted by Richard and teaches her to shoot a rifle. “You got to learn how to defend yourself since no one else’s doing it for you,” he tells her. Second-novelist Flock (But Inside I’m Screaming, 2003) captures Carrie’s powerlessness and resourcefulness beautifully. The child is so believable, in fact, that the final twist, which brings into question all of Carrie’s perceptions, just doesn’t work. Flawed, then, but tremendously touching.